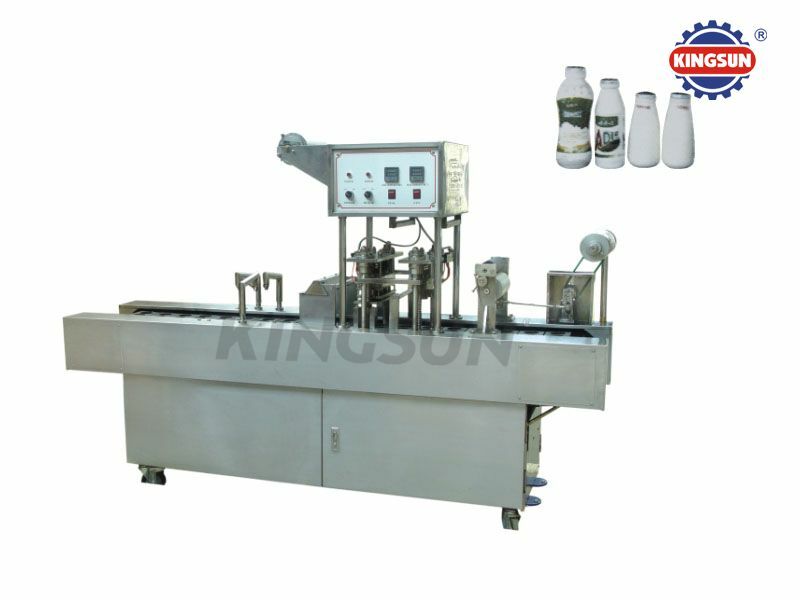 This machine is used to fill regular bottle or irregular bottle with milk or other free flowing liquid, and seal bottle with aluminum foil. The bottles have to be fed manually. It can automatically complete the process of filling, sealing, film cutting, code printing, sterilizing in ultraviolet radiation in one operation. In addition, it can be customized according to your special requirement.